Are you looking for a freelance autoresponder writer? Someone to write killer autoresponders for your online business? Autoresponders that almost force readers to click through to your monetizing page? There are several reasons why you may need an autoresponder writer. Or a broadcast email writer. · You have a website or online sales page and you know you need a series of emails to get the click. If you don’t know why this is so important, read through this site. · You’re not a copywriter. And you don’t employ one. Or at least one that knows how to write this kind of copy. · Even if you think you could learn how, you know you don’t have the time. It takes a long time … even years … to become good at this. · You already have an autoresponder series … or you’re already sending out broadcast emails but they’re not cutting it. They’re not getting you the response you need. In today’s online world … even in a mobile world … those businesses who develop relationships with their prospective customers are the ones who rule. And email rules when it comes to establishing these relationships. The almost 5 billion email accounts in the world are triple the size of Facebook and Twitter combined. 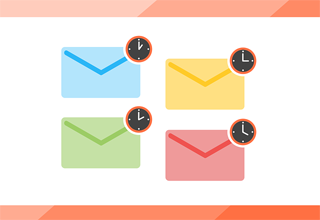 If you’re looking for an email writer, you need someone who specializes … almost exclusively … in writing autoresponders and broadcast emails. If you want to learn more, Click Here or feel free to read through this site. 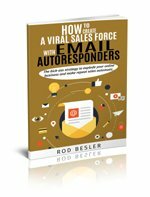 You’ll learn a lot about autoresponder writing, email writing and online marketing.